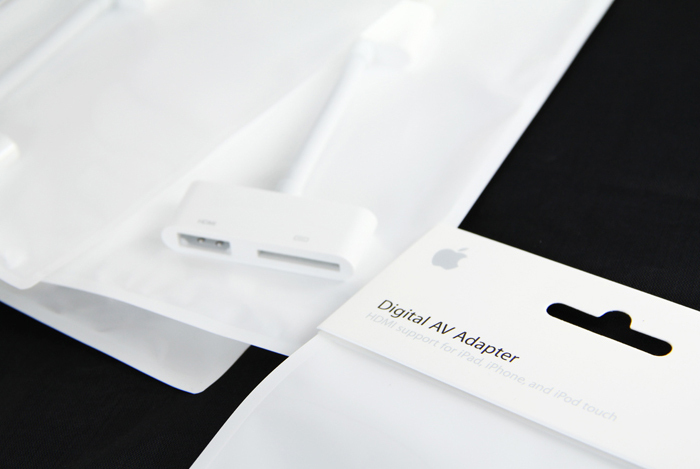 Apple’s new Lightning Digital AV Adapter appears to have a system on a chip inside of it and may actually function as an AirPlay receiver, according to some recent investigation by Panic Software. The guys at Panic ended up tripping down the rabbit hole of Apple’s latest AV adapter while working on a new project that required TV-out work. 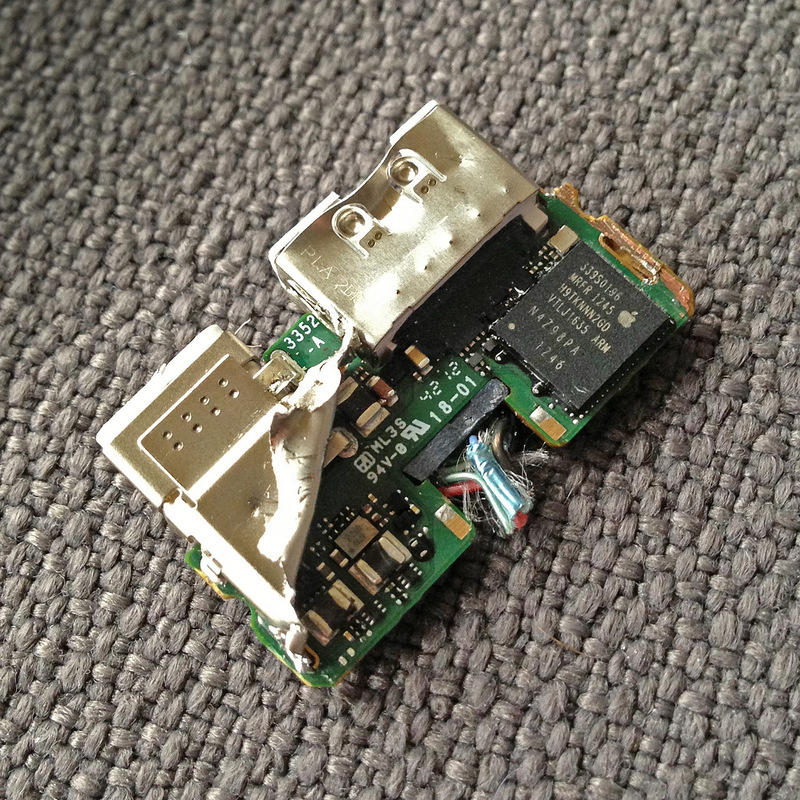 As they attempted to work with it, they noticed lag and performance issues, many of which have been reported on forums since the new adapter replaced the old dock-connector version. The adapter, if you’re unfamiliar, simply plugs into the iPad or iPhone on one end and provides an HDMI connector on the other. After butting heads against the problem for a while, they hacksawed one apart. What they discovered inside is pretty nuts. There’s what appears to be an ARM SoC with a stacked 256MB Hynix memory module, along with a slew of other components. They’re still poking around inside, but it’s certainly intriguing. I spoke with Brian Klug of Anandtech, and he posits (on brief examination) that it actually may be an AirPlay-like component that decodes an encoded video signal sent over the wire from an iDevice. What container is used to encode the video is up in the air, but it certainly could be the same one used for AirPlay, just sent over USB. Head on over to the Panic Software blog for the whole tale, it’s a fascinating read.